Today’s recipe I owe all to asweetspoonful.com . With out her extremely inspiring page and blog I would have never had the chance to butcher the amazing looking recipe that she posted the other day. The recipe that I will post on here is all hers, so I am giving her full credit for it. I did not, however do it any justice. Sure the bread part of this recipe came out delicious, kinda had a pretzel taste to it. But unfortunately I don’t know if that was how it was supposed to taste or not, but the middle area was extremely bitter and tart. Now coming from someone who can just eat lemons as they are, that’s saying something. I plan on taking this recipe and messing with it, because I will not give up yet. I am determined to make a version of it, prob with cheese of some sort though. The look of this dish however, did look pretty cool. And I have to admit it was a lot of fun to make. I have never made my own dough before, so doing so yesterday caused me quite a challenge! Especially when I forgot to flour my hands, touched the dough and by default got it everywhere. Now when I say everywhere I mean everywhere. It was a huge mess and i ended up spending most of my Sunday in the kitchen! which was okay after all considering sean was working the whole say so its not like i stood him up! The final result looked pretty delicious if I do say so myself. Yet looks can be deceiving! I’m not saying that it was horrible cuz it rele was not, we still have another entire one and i plan on taking a bite into at lunch. But it was not as good as it could have been. I’m deff going to have to retry this recipe the moment i get a chance. The rele good thing about this was the ingredients were not expensive at all! I like when i go to the store for recipes and don’t spend $40 dollars. Because this recipe essentially makes 4 rounds, I froze two sections of the dough to use later. If you go this route, you’ll obviously want to cut the topping quantities in half (only 1 lemon etc.) For the herbs, use whatever you like and have fresh on hand; I loved the combination of fresh thyme and rosemary although I think dill and chives could be really nice, too. And if you have a mandolin to slice the lemons, this is the best way to get them super thin. 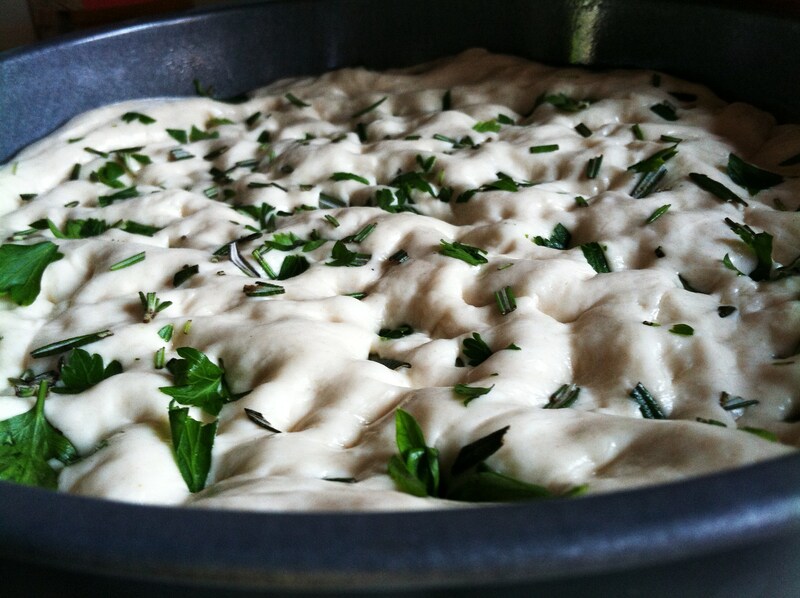 For the dough, dissolve the yeast in 1/2 cup warm water in a medium bowl. Stir in 1 1/4 cups water and 2 tablespoons of the olive oil. Pulse the flour and salt together in the bowl of a food processor. Add the yeast mixture and process until a rough ball forms, about 1 minute. Briefly knead dough on a floured surface until smooth. Shape dough into a ball. Put 2 tablespoons of the oil into a large bowl. Roll dough around in the bowl until coated with oil. Cover the bowl with plastic wrap and let the dough rise in a warm spot until it has doubled in size, about two hours. Pour a thin film of oil into each of four 8-inch round cake pans. Quarter the dough and put one piece in each pan (if you’re making two rounds as we did, only oil two pans and wrap two quarters in plastic wrap and freeze). Using your fingertips, spread dough out in each pan. The dough is elastic and will resist stretching. Let it rest for 5 minutes or so after you’ve stretched it as far as it will go. Eventually it will cooperate and fill the pan. Preheat the oven to 450 F. Cover the pans with damp dishcloths and let the dough rest until it has swollen in the pans a little, 30-60 minutes. 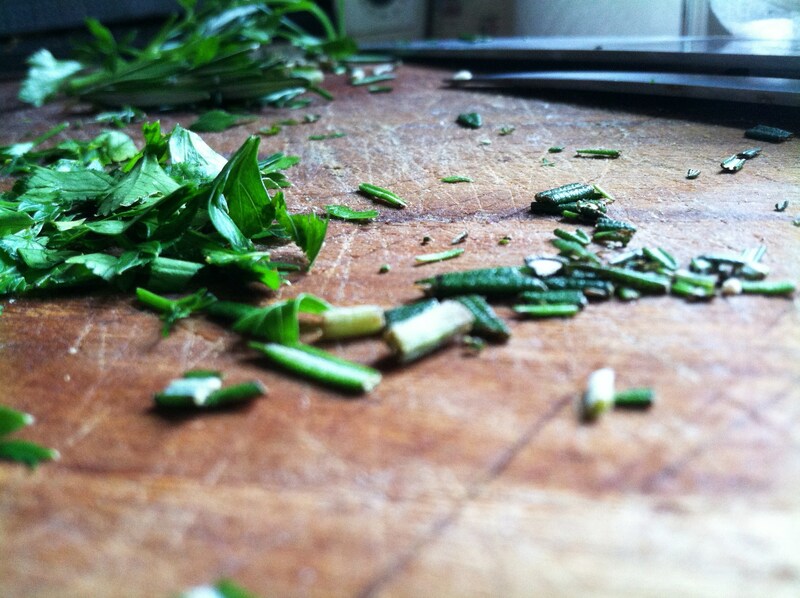 Uncover the pans, sprinkle the dough the your herbs. Using your fingertips, poke dimples into the dough in each pan, then drizzle with oil so it pools into the little crevices. 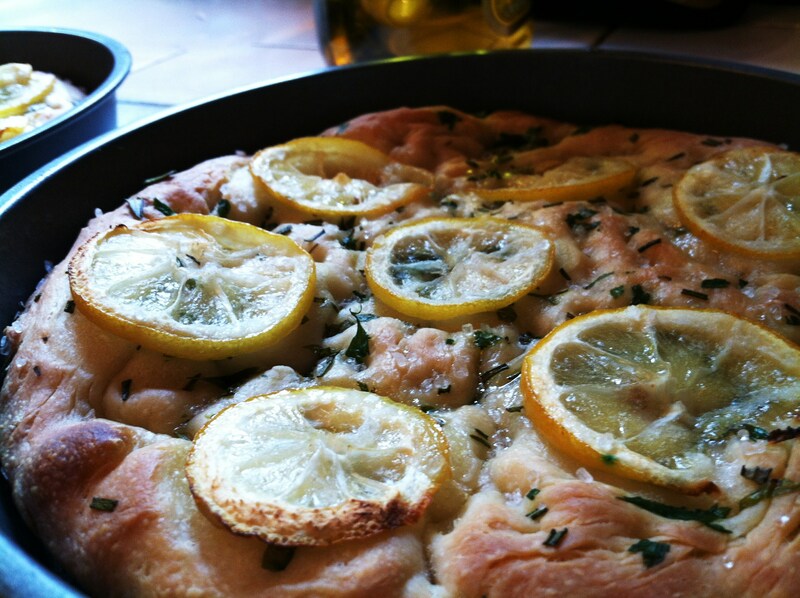 Arrange the thinnest rounds of lemon on top, drizzle with more oil, and sprinkle generously with sea salt. Bake for 20-28 minutes. Drizzle with more oil when you pull it from the oven.